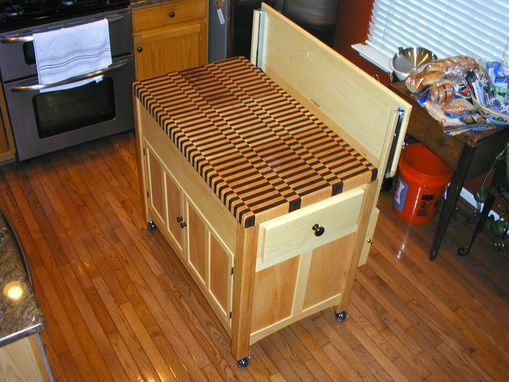 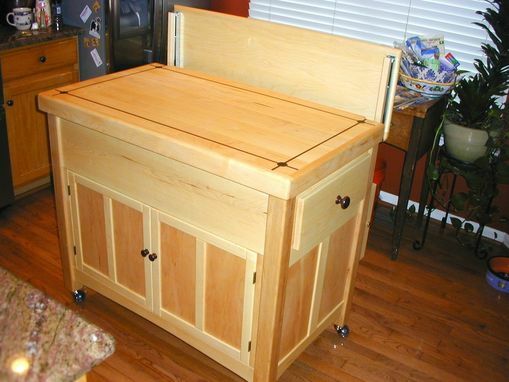 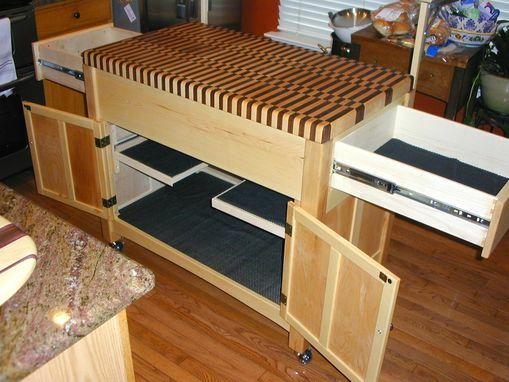 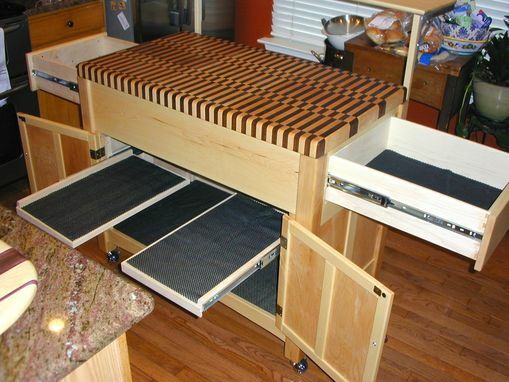 This Kitchen Island was featured on a recent episode of "Tiny House Nation' on the FYI channel. 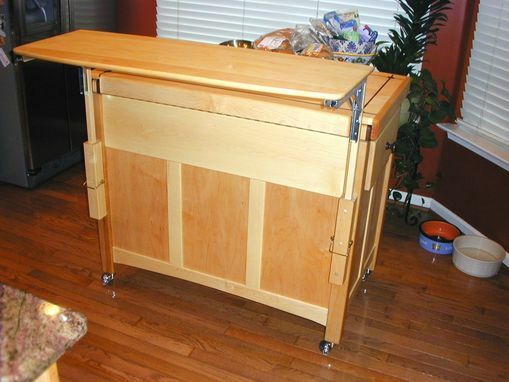 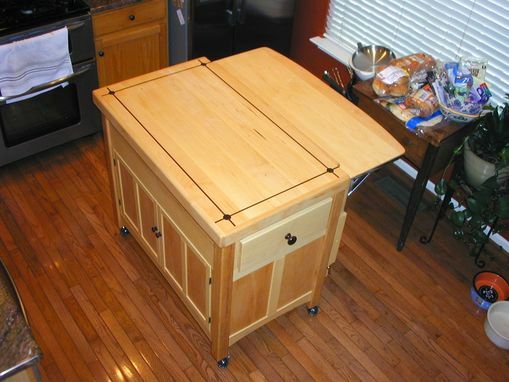 Customer request for a unique kitchen island included: a thick, heavy chopping block top--a top that with a design that would "pop;" an adjustable bar top that can be raised up & down and tilted out of the way; lots of drawers and shelves to store kitchen items; mortise & tenon construction with lots of solid wood panels, and heavy duty casters that can be locked into position. 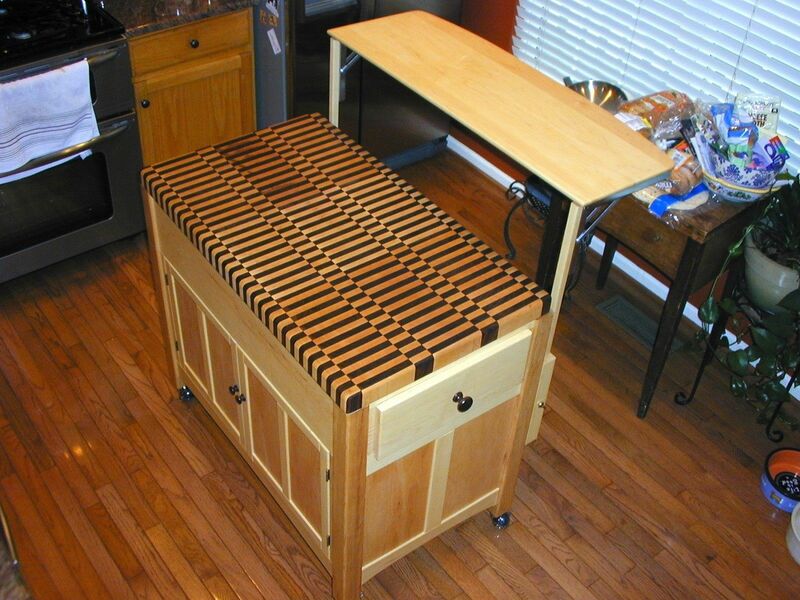 An additional feature included a secondary lift-off cutting board top for every day use (helps to protect the unique herringbone design of the chopping block top). 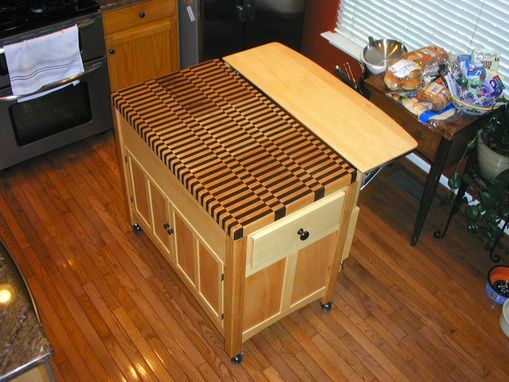 The herringbone top is constructed of hard maple and walnut, while the base to the kitchen island and the drawer are made from hard maple.